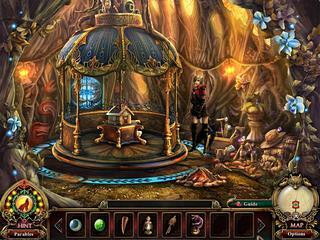 Dark Parables: The Red Riding Hood Sisters takes the fairy tale story one step further. The game is astonishingly awesome. This hiddn object puzzle adventure game is one of those that become an icon of what to persue as a develper and anticipate as a player. The game's story intertwinds the facts and the characters from other stories in a very very nice way. The Red Riding Hood Order has been already established and everything seems to work out quite well. But Wolf Queen is now up to something evil. Her plan is to unleash her diabolic wolces into our world. The plan is in the progress as some of the sisters are trapped already. Now you know your task as a detective. The game's audio-visual presentation is so impressive with all the beautiful graphics and sounds. It makes it addictive just as the intresting story and tasks. You are to play many mini-games. They are well thought through. Some of them are innovative and really challenge your brain. 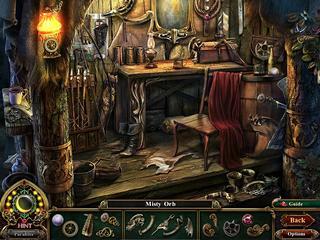 The hidden object levels are more about fragments, when you have you find the fragments of an item in order to use it in the game. There are three levels of difficulty and you can adjust the game for yourself. The game's story intertwinds the facts and the characters from other stories in a very very nice way. It seems doubtful that there might be somebody who will not enjoy the game with everything it has to offer. This is Dark Parables: The Red Riding Hood Sisters review. Download this game here.